We focus on obtaining a fundamental understanding of how to control magnetism at interfaces and surfaces. We work on developing new materials, such as complex fluorides or complex fluoride/oxide heterostructures, whose magnetic and magnetoelectric properties can be controlled through interface interactions. These interactions can include electronic proximity effects and strain. 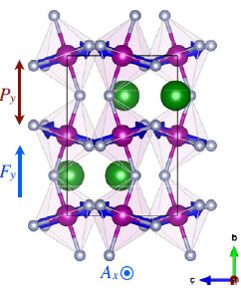 We collaborate with computational theorists to restrict the parameter space in which to search for new multiferroic and magnetoelectric materials and to understand the experimental data from a fundamental point of view. 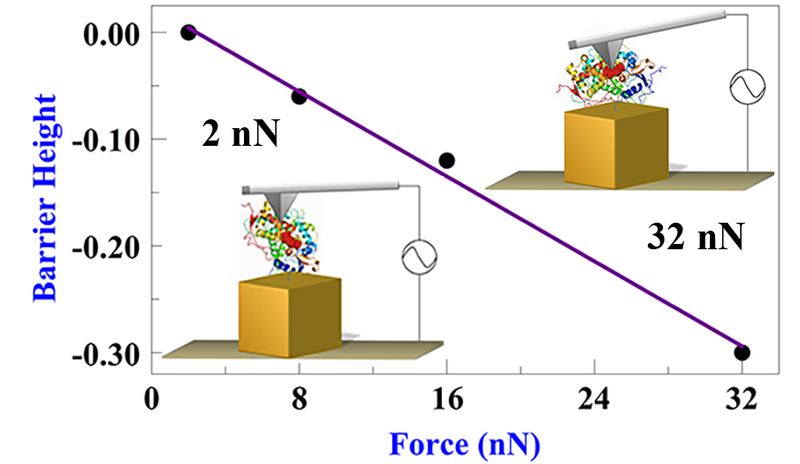 We are interested in the properties of materials that undergo metal-insulator transitions as a result of the onset of Mott electron-electron interactions and/or sudden structural transitions. An important question that we seek to answer is whether these transitions can be induced by applied electric fields, and if so, whether they are thermally driven or if the electric field causes a fundamental change in the electronic structure. These materials can be used in ultrafast electronic switches, oscillators, and, because of their non-linear characteristics, in neuromorphic electrical circuitry. Topological insulators are materials whose surface states exhibit exotic physics due to their reduced dimensionality, their quantum mechanical properties, and their strong spin-orbit interactions. We synthesize these materials using molecular beam epitaxy and study their magnetotransport and ultrafast optical properties in order to understand their fundamental properties. 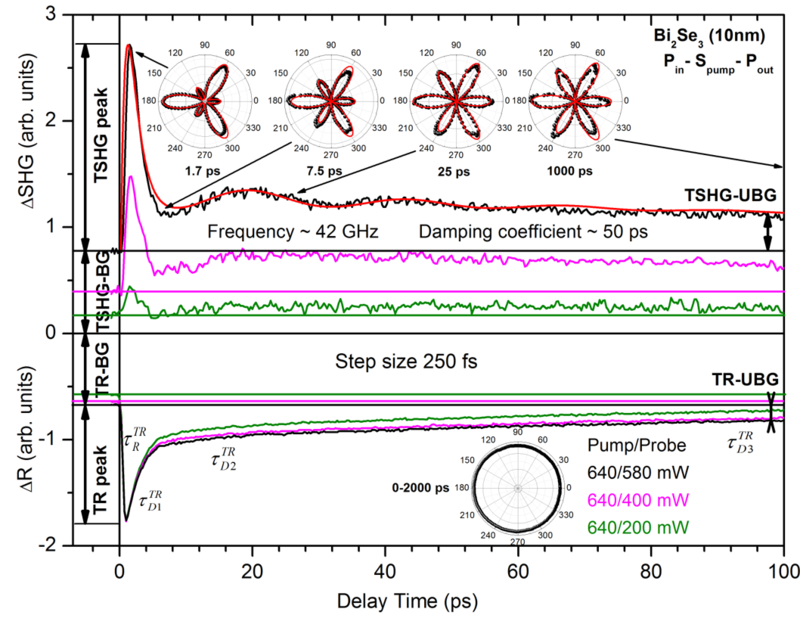 The ultrafast optical properties are especially interesting when the surface states are probed using nonlinear processes, such as second harmonic generation, that can be used to probe the properties of surface plasmons of the surface states. A major challenge for the future of electronic devices is producing electronic elements close to the atomic scale that are stable at room temperature. We are attempting to address this challenge by using proteins as electronic components. After billions of years of evolution, proteins that undergo redox reactions are routinely used by living things to transport oxygen or metabolize various chemicals and toxins, and they are usually smaller than 5 nm in diameter. Our approach consists of integrating proteins such as myoglobin and cytochrome P450, which have a heme group with a single Fe atom performing the redox reaction, into single protein break junction transistors and nanoscale electrochemical cells.